If you’ve been anywhere near Edinburgh in the past week, you’ll know the city is fully in the grip of festival fever. You can’t even think about George Street without facing hoards of shuffling tourists, and if you walk from one end of Princes Street to the other, chances are you’ll find yourself clutching hundreds of flyers. Properly enjoying the festival takes a whole lot of planning, and of course, a few planned pitstops along the way. The Radisson Blu’s position in the heart of the Old Town, can’t be beaten, and if you’re exploring the area, it’s a must visit. 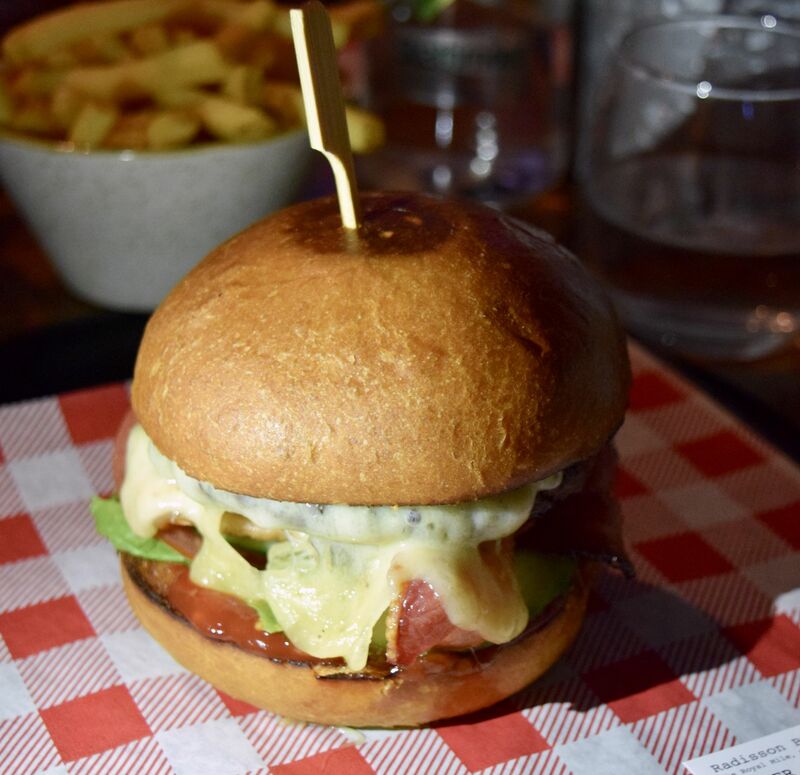 Not only is it a luxury hideaway in one of the capital’s buzziest spots, but they’re also running a rather cleverly titled ‘Burger’s and Fringe’ all month long. 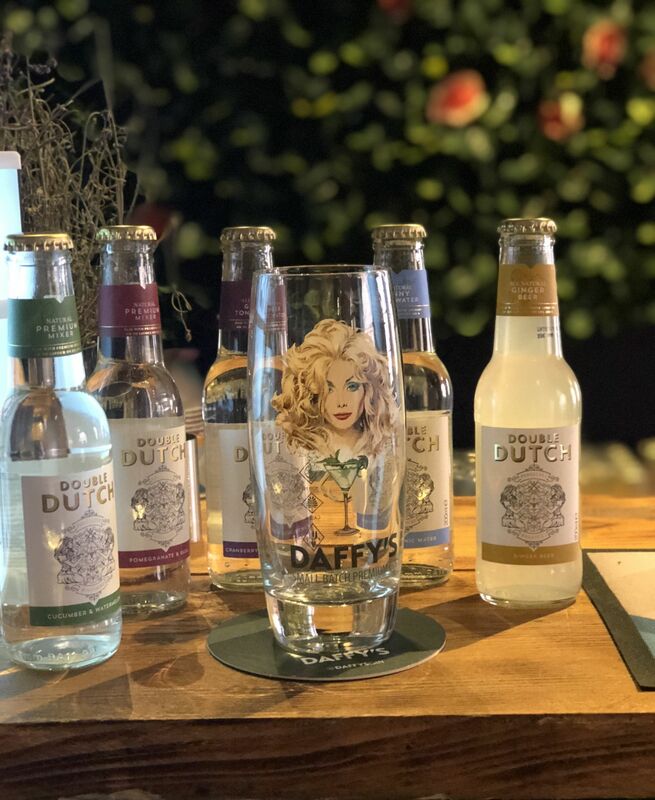 We popped in last night to give the menu a go, as well as to discover the new Daffy’s Gin pop up which appears every event from 6.30pm. 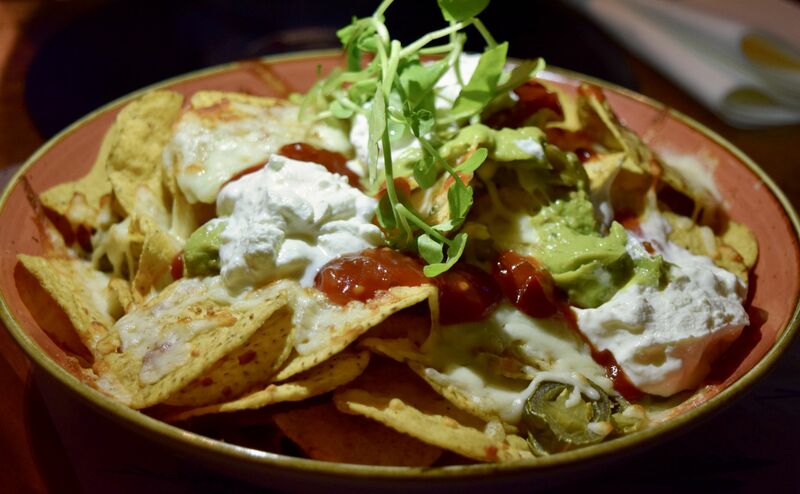 Coming straight from a day full of meetings in Glasgow, we couldn’t resist kicking things off with a bowl of Nachos (£7.50). Piled high and loaded with melted cheese, dollops of sour cream, guacamole and a sweet and tangy salsa, if you’re craving some Tex-Mex, these are for you! A word of warning though, we ordered a bowl of these to share, and still didn’t quite reach the bottom – portions at Radisson Blu are the definition of healthy. 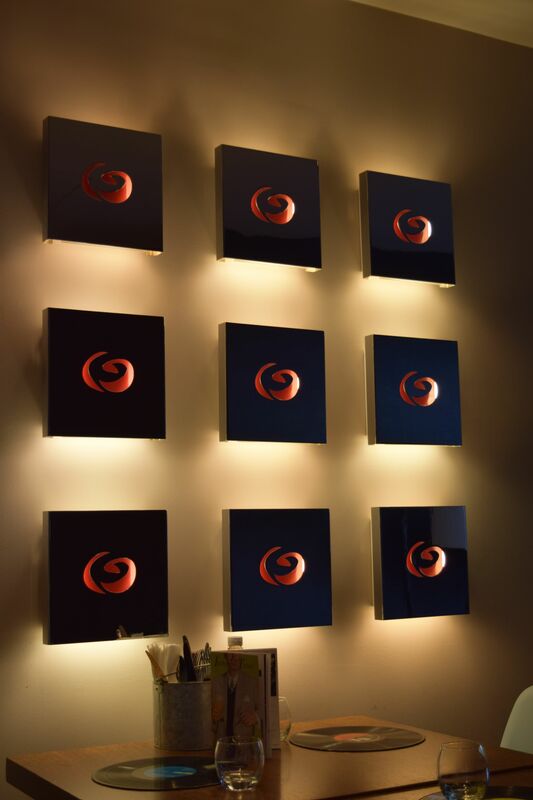 If you’re a burger connoisseur, the Radisson Blu is a must-visit. For Burger & Fringe, there is an entire menu of them – from mushrooms to classic options – there is something for everyone. 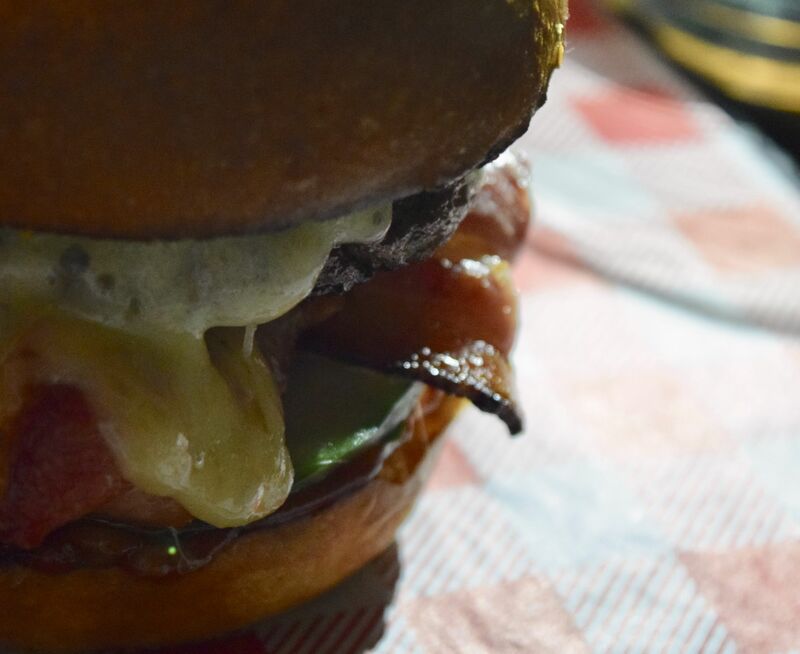 We both opted for the Blu Classic Burger (£9) – a beef patty smothered in melting cheddar cheese, bacon, and a smear of ‘Blu sauce’ this was a offering perfect for beating post-Fringe hunger pangs. For more adventurous palettes, there is the aptly named ‘Sticky Fingers’ option, where a burger comes served up with candied bacon on a grilled ring donut! You can pick a selection of sides to enjoy along side your burgers (£7 for 2) so we opted for skin-on skinny fries and sweet potato fries. 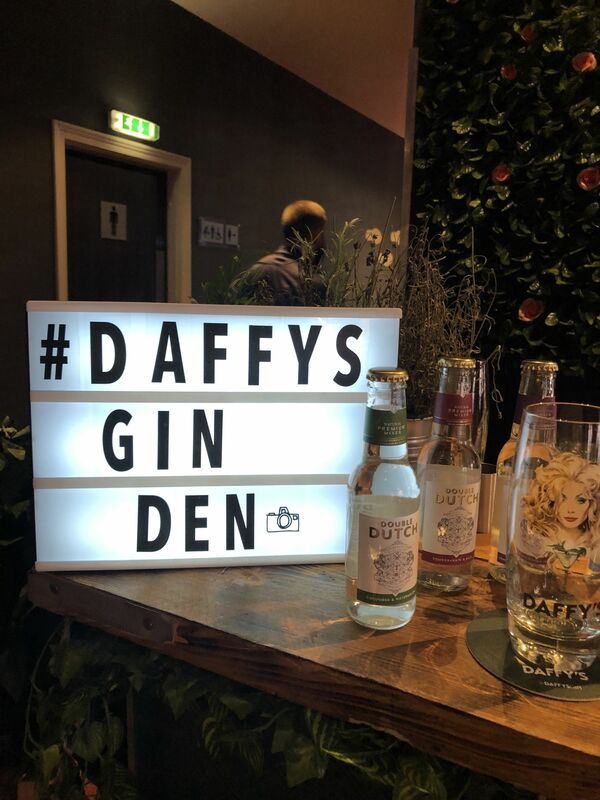 After dinner, we headed over to the Daffy’s Gin Den, also in the Radisson Blu, where live music and fabulous Scottish gin flowed freely. There is a menu of cocktails to choose from, and really, is there a better drink than a G&T in the height of summer?! 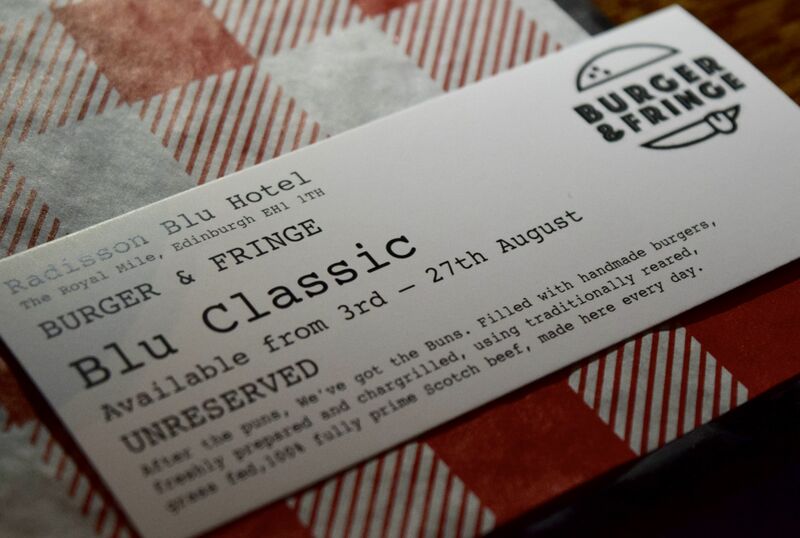 The Radisson Blu’s Burger & Fringe event, along with Daffy’s Gin Den runs until August 23rd, and more information can be found here. Thank you so much to Radisson Blu for having us!